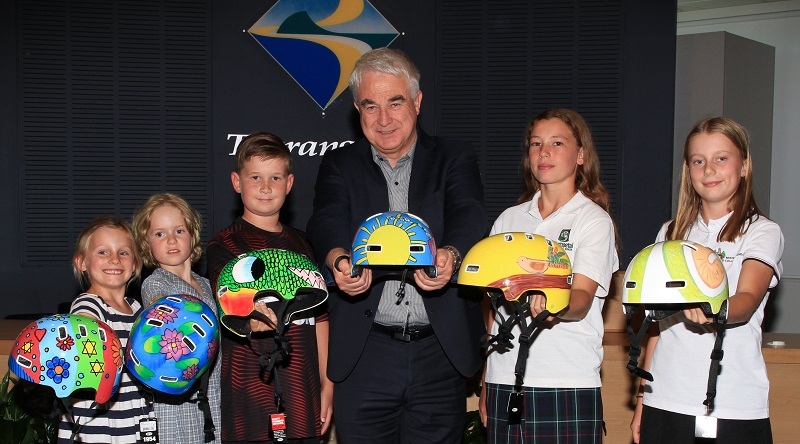 The 2019 Travel Safe Design Your Own Helmet Competition winners have been announced at a presentation made yesterday afternoon by Mayor Greg Brownless. The competition now in its sixth year, attracted 1418 entries from students and teachers across 19 Tauranga and Western Bays schools (up 589 since 2018). Encouraged to be creative, students and teachers have had free licence to dream up their very own unique helmet design. This has culminated with the winning creations being professionally airbrushed onto blank helmets by local artist Anthony Brodie. It is important to wear a correctly fitted, safety approved helmet when riding a bike, is the message coming from Travel Safe. Mayor Greg Brownless said he is extremely proud of the winners. "These are our newest ambassadors supporting cycling," he said. Karen Smith Team Leader of the Travel Safe programme was thrilled with the interest and support that the competition has received this year. "This competition was designed as a fun and creative way to support conversations, in the classroom and at home, on the importance of wearing a safety helmet when riding a bike." Travel Safe would like to thank sponsor AMI for their support of the helmet competition.